Write It Down: "Yo Ho (A Duck's Life For Me)"
"Yo Ho (A Duck's Life For Me)"
stalwart Tony Strobl. For my money, each interpretation is interesting. As a child of three years old, I was delighted when I watched "DuckTales". A show that struck a chord with me; nowhere else could I show that blended brilliantly humor, adventure, and morality. It was completing a puzzle of a Uncle Scrooge cooling himself with dollar bills, that made a strong impression on me. When watching the opening of "DuckTales", I was awestruck seeing Uncle Scrooge diving through his money, and spurting out coins. I imagined how fun it must be swimming through money. The feel of metallic coins and scads of dollars caressing your skin. It was love at first duck. There was mystique that penetrated this whiskery web-footed duck who wore a pince-nez, blue coat with red trim, red spats, silk hat. The magical moment of Uncle Scrooge in his diving suit, surrounded amongst the coins, was imbedded in my mind, from an early age. I was bewitched when I heard the sprightly duck, speak with a rich Scottish burr provided by veteran actor Alan Young. 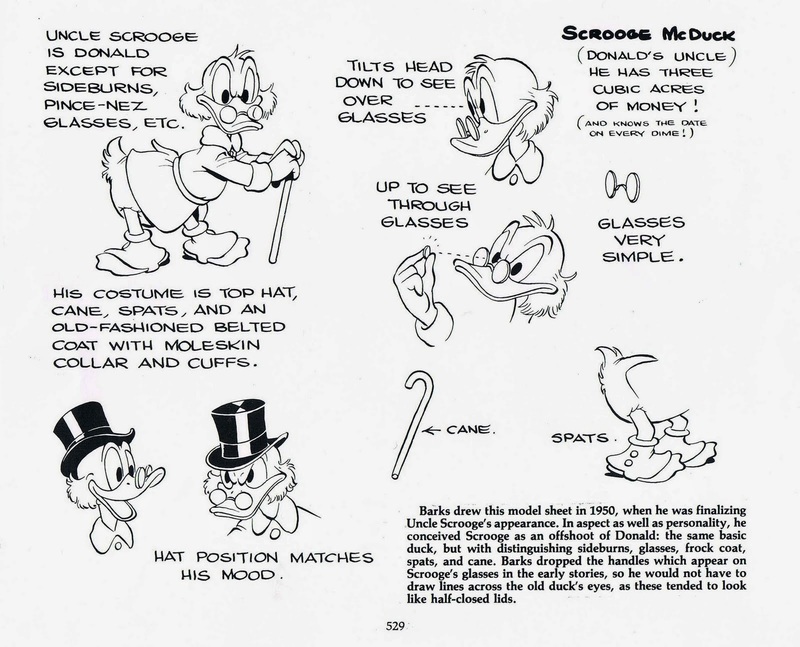 His performance covered the nuances that were Scrooge: the intense seriousness, joyous celebrations (in finding treasure), silly relaxed moments (swimming in the Money Bin), sarcasm, hostile anger (The Beagle Boys), Magica De Spell, Flintheart Glomgold), fear, and even those soft sentimental parts such as when he reminisces about Goldie. The voice was suited to a duck of dynamic personality. Carl Barks' tale, "Only a Poor Man" (1952) was the first Uncle Scrooge comic I read. 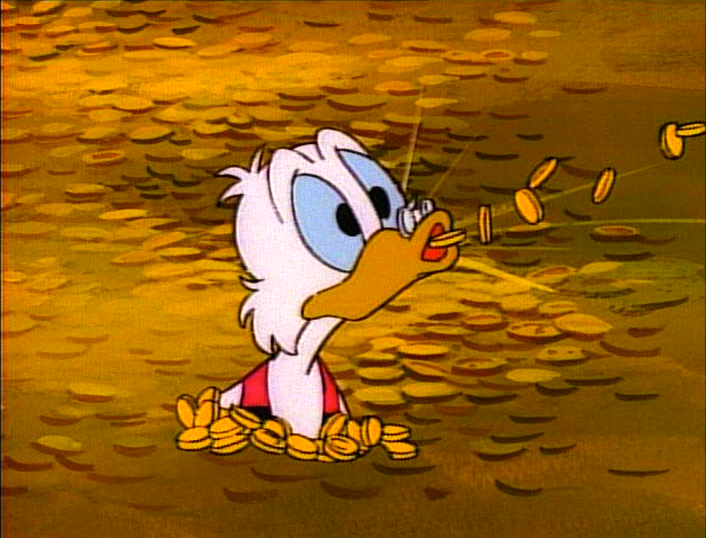 A bitter Scrooge McDuck expresses his famous work-ethic. The black shading surrounding him suited the tone. The panel resonated within me an urge of applying myself to my studies in grade six. I was amazed by how "DuckTales" was faithful to the comics when Scrooge mentioned it. I immediately adhered to Uncle Scrooge's determination, which radiated through him like the many coins in his money bin. He earned his fortune by working on the seas, in the mines, the cattle wars of the old frontier, and the Klondike. He regards his fortune as a symbol of his worth. A life made on honesty and hard work. If he were to lose his fortune, it would result in the detrimental loss of his integrity. That is why by "thinking a little harder than the other guy - by jumping a little quicker" he stays ahead of everyone. The "DuckTales" episode "Wronguay In Ronguay" demonstrated the importance of him being ahead of others. When he is demoralized about locating the sunken ship, he explains to nephews Hewy, Dewy, and Louie. "My whole life I've worked and sweated to stay one step ahead of wolves like Glomgold. Deep in my bones, I guess I've feared the one day I'd loose my touch." I felt sympathetic to his fears about no longer being the richest. By staying ahead of his rivals it acts as a catalyst for him to keep on hoarding more lucre. If he were to yield to his depression, it would lead to a catastrophic downward spiral. Does Scrooge McDuck remain hopelessness? Absolutely not. Described as a fighter, a "duck of iron". He rebounds despite how cynical the condition may be, was the greatest life lesson I learned from him. 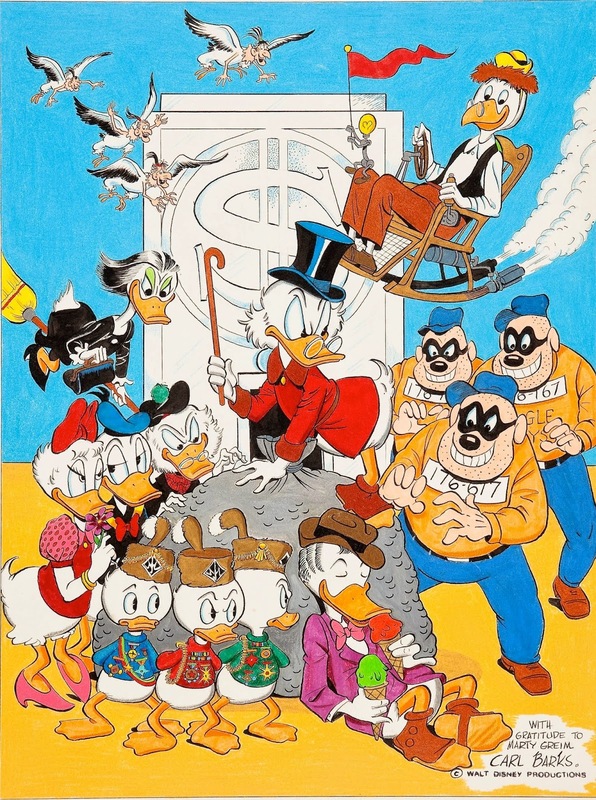 Carl Barks' captures Uncle Scrooge's fierce determination of protecting his money from - Magica DeSpell, Flintheart Glomgold, and The Beagle Boys. While being surrounded by family - Daisy, Donald, Hewy, Dewy, Louie, Gyro Gearloose, and Gladstone Gander. When I was in grade seven, it was his work ethic that soothed my spirit, after experiencing the stings of receiving a poor mark on a test. Like Uncle Scrooge I succumbed to my emotions, but on a dime (Hopefully not old "Number One") I salvaged the situation by changing my mindset. How could I prepare better for the next test? Were there any concepts I was not confident in? I discovered that I performed better on assignments than on tests. I put more emphasis on receiving a higher mark on homework. Mr. McDuck's astute words "Work smarter, not harder" was stimulating. The credo is what I would later apply when taking "Chemistry 30". Falling flat on my face affected me deeply when receiving my Chemistry exam, but I heard Uncle Scrooge saying: "If I made a fortune once, and by gum, I can do it again. It'll just take me a litle time." It was a nugget of wisdom that I cherished. 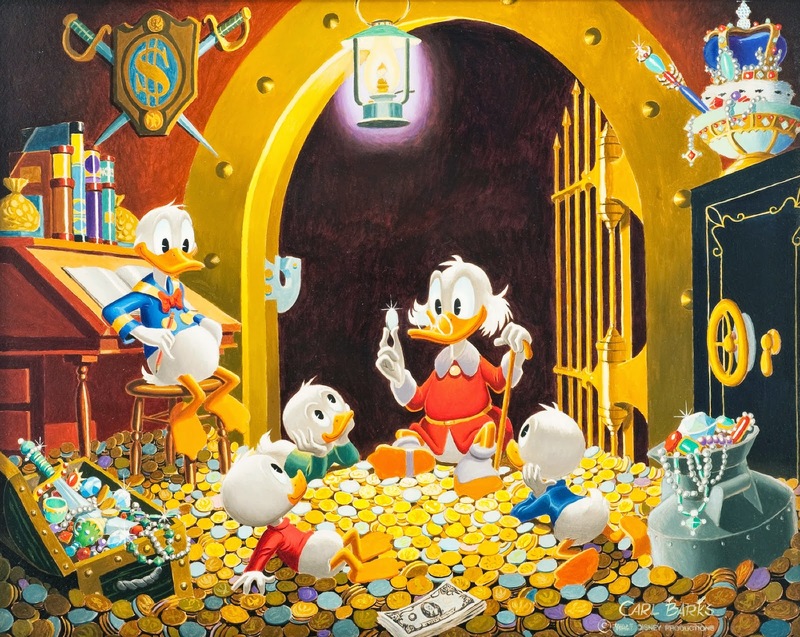 Carl Barks' 1977 beautiful painting, "This Dollar Saved My Life At Whitehouse". Uncle Scrooge gathers his nephews to regale them with tales of cherished coins. It was how he hoarded his fortune that was impressing. To this day Uncle Scrooge remains my favourite Disney character. Why? He is more dynamic. The many issues I have experienced, I analyze how he would tackle it. Carl Barks' design was the factor that first attracted me. As I grew, I appreciated how he instilled him with a set of attainable morals: Honesty and resilience. A soft cadence provided by Alan Young, stimulated me in embracing these characteristics in my life. Cheers for Carl Barks' coolest creation! May new generations find him a terrific tightwad tycoon as I have. A journal entry from when I was in grade seven, showcases the height of my love for the character. Note. the promt refers to "character". After all I could not exclude Donald Duck! Nice job on this, Adel! To me, Uncle Scrooge is one of THE three greatest original creations ever to emerge from comic books – the others being Superman and Batman! Yes, we all know Superman was originally peddled as a newspaper comic STRIP, but it was in comic BOOKS where he burst onto the scene. 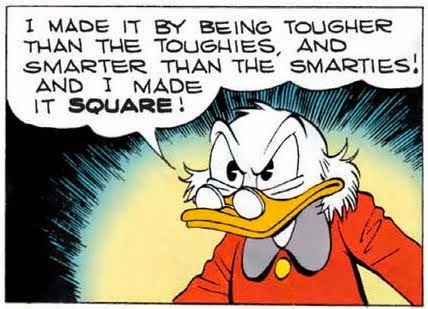 The difference is that, while there have been countless imitators-of and tributes-to Superman and Batman (the “powered-hero” and the “non-powered-hero”, respectively), there has really never been another character in popular media quite like Scrooge McDuck! You can find bits and pieces of him widely scattered across the entertainment universe, from Jack Benny to Indiana Jones (one that precedes him, and one that postdates him), but there is only ONE Uncle Scrooge McDuck! And, it took nothing short of the genius of Carl Barks to create and fully realize him! And, it seems only fitting that, if one is inclined to adopt a role model from the comic book pages, that he should be the one! This post is only the tip of the duckberg. Simultaneously when working on this post, I was preparing another on my intro-ducktion to Carl Barks. It’s interesting that whenever I view “BATMAN:T.A.S”, immediately I draw a lot of parallels between Batman and Scrooge. Both are wealthy. They have overcome the loss and separation respectively, of their parents in order to become who they are. His ability of swimming through money, without receiving concussions, could be a super power. I like Donald Duck, but their is this magical quality to Uncle Scrooge. I wish that Disney would resurrect “DUCKTALES” franchise, because a new generation should be exposed to him. 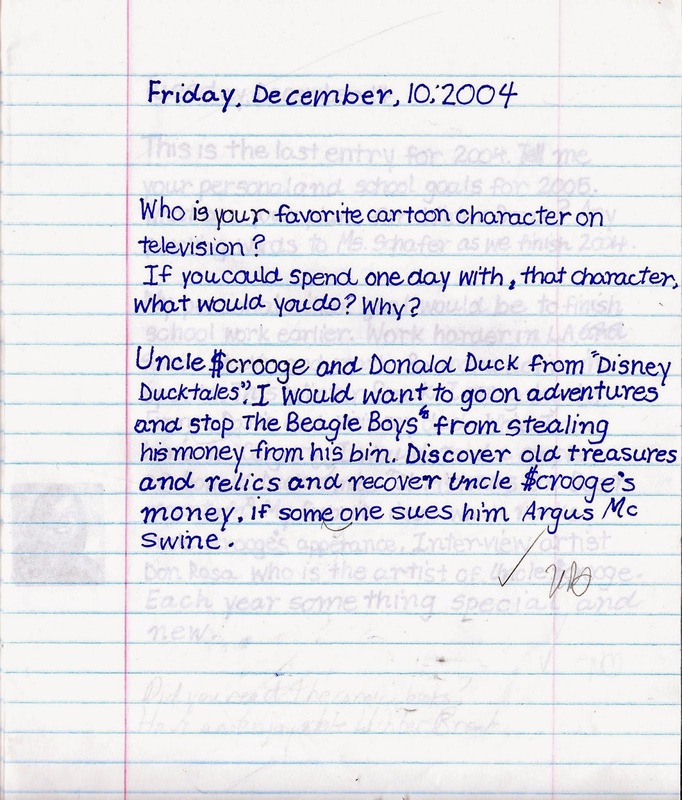 You would be surprised how in junior high, how few of my peers recognized him, but immediately recalled “DUCKTALES"
It's interesting that you included Donald Duck in your response to a prompt about TV cartoon characters, since he barely appears in DuckTales. (Though he does star in one of my favorite DuckTales episodes, "Sphinx for the Memories.") Maybe by 7th grade the worlds of the comics and the DuckTales cartoons had merged in your mind? Thanks for the comment! Matilda, is a fitting name for a person interested in Uncle Scrooge, as that is also the name of his sister. Glad you enjoyed the journal entry from grade seven, and felt similarly about what the Scrooge comics meant. Carl Barks quote, “I sent [Scrooge] on location to many romantic areas of the world, and I’ve learned since that kids really liked the geography lessons they absorbed along with derring do.” reflects the effect his stories had on readers like you and I.
I liked the resourcefulness of the nephews with their Junior Woodchuck’s guidebook. I could see myself as the nephews, how they would save their Uncles’ and next they would be playing hooky. I recall clarifying with my teacher as to whether Scrooge would qualify as a cartoon character, since he appeared in the comics first. Yes, during that time, the world of comics and cartoons collided. Thanks for linking to my blog. 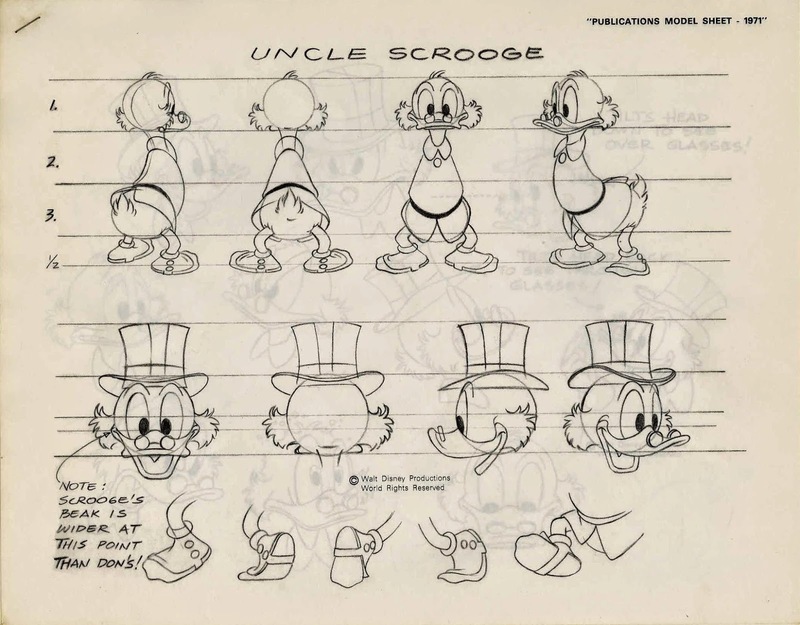 It seems that you got just as much, if not more, inspiration from the DUCKTALES version of Scrooge as you did from the classic comics version! That's what I like to see! Chris you are welcome! I have read your blog. It is a series of interesting posts. I am fond of your analysis of “DUCKTALES” episodes. I am thrilled, that I am not the only one in the shares the appreciation of the “DUCKTALES” version of Uncle Scrooge. Henry McCracken expressed it perfectly: “Scrooge McDuck is a character that no focus group or marketing executive could ever have come up with. Even the "decaffeinated" Scrooge of DT was one of the more improbable heroes in TV animation history. I was confused at whether to talk about the comic Scrooge in contrast to “DUCKTALES” version. I decided that both depictions are interesting, and not to leave either. Oddly, I don’t notice too major a change of Uncle Scrooge from “DUCKTALES” in contrast to the comics. Many of the episodes have quotable lines that I come back to. In regards to the episodes that are adapted from Barks’ stories. My opinion of episodes based on Barks’ stories is biased; Having seen the episodes first, and later read the story. I find that Barks’ stories acted as a “springboard” for the episode. I enjoyed how the writers came up with having deviated from the original. The adaptations of Barks’ stories were done well.If you liked this post stay tooned!